A homicide inspector with the San Francisco Police Department, Kate Gillespie worked hard to get where she is. But a frantic phone call from a snitch threatens to destroy everything she is and everything she's earned. Pulled from the bright lights of the Homicide office onto the shadowy night streets, she arrives at a clandestine meet just in time to see the frightened informer shot dead ... by another cop. Now Kate is a target, on a trail of dirty deals, corruption, and escalating violence that reaches back into her own troubled family history and deep into a department riddled with dark secrets and truths that kill. Suddenly Kate Gillespie is teetering on a "blue wall of silence" and being set up to take a long, fatal fall -- by a relentless killer who's hiding in plain sight. Robin Burcell is an FBI-trained forensic artist who has worked in law enforcement for over two decades as a police officer, detective, and hostage negotiator. 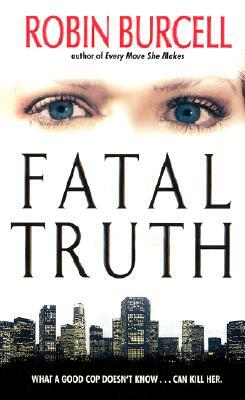 A two-time Anthony Award winner, she is the author of four Sydney Fitzpatrick novels—The Black List, The Dark Hour, The Bone Chamber, and Face of a Killer—as well as four novels featuring SFPD homicide detective Kate Gillespie: Every Move She Makes, Fatal Truth, Deadly Legacy, and Cold Case.